As a Maui activity, you'll discover that most activities are based by the ocean. Hardly any tours or activities are private. 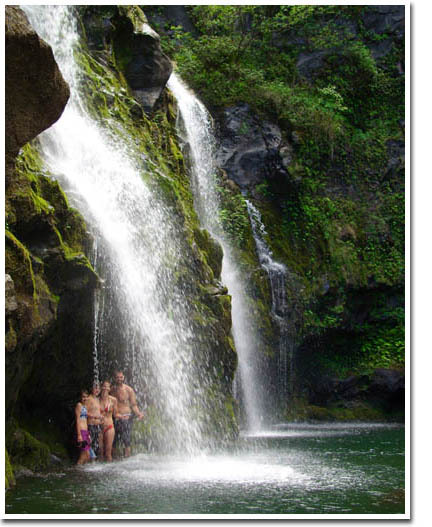 Make your Maui vacation special - at least the road to Hana part. Honeymooners love Maui too! I've had honeymooners come back, years later with their kids and book another jeep tour for the whole family! But like all tourists, honeymooners just need a little help. Honeymooners are more spontaneous than say, a family. A family will plan their Maui vacation more "day to day" because they're spending more money. Feel free to discuss any of your Maui family vacation or honeymoon activities with me. Alec Hawley, Your personal tour guide.